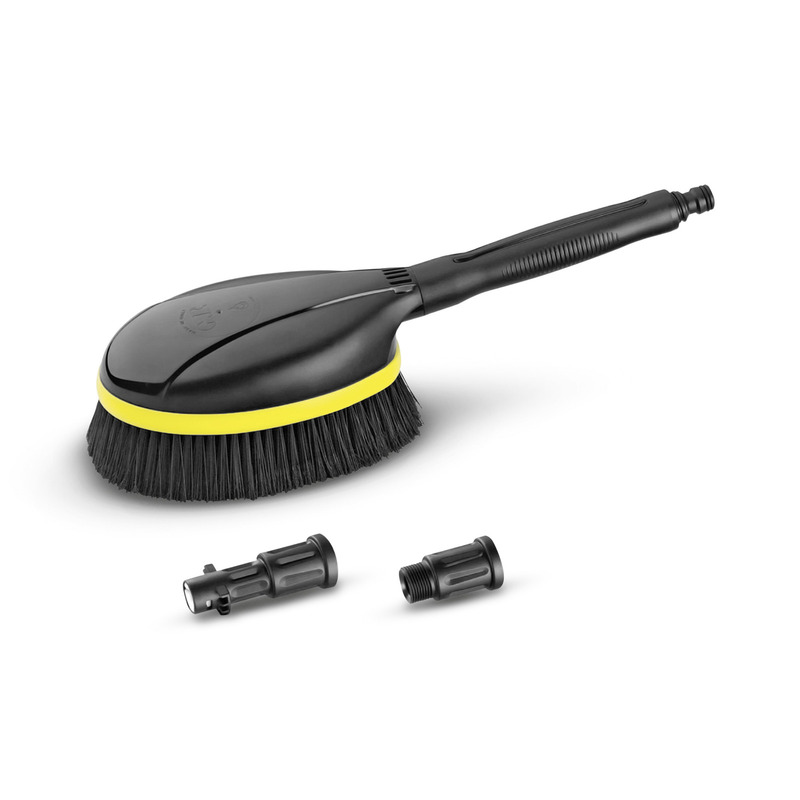 UNIVERSAL ROTATION WASH BRUSH is rated 1.0 out of 5 by 1. Rated 1 out of 5 by Aicko from Junk - broke within 5 seconds of first use I bought this original Kärcher brush to combine with my G3800OHT. I got less than 5 seconds of use out of it. The brush immediately leaked out of the plastic stem itself, i.e. the plastic pipe has cracked and I am spraying myself instead of the object I intend to clean. While the brush broke already at the lowest pressure setting of the G3800OHT, it really should not matter, because it is supposedly rated to withstand 4000PSI while my pressure washer operates at 3800 PSI max (at least according to specifications). As a German I am buying Kärcher products due to my past experience with this German company, but now I am extremely disappointed; indeed I am embarrassed for the image that Kärcher is painting for my home country's companies due this low quality "Made in China" item!